Apink is one of the most stable K-pop girlgroups with constant excellent outputs since their debut. Everyone knows I Don’t Know, NoNoNo, and Mr. Chu. 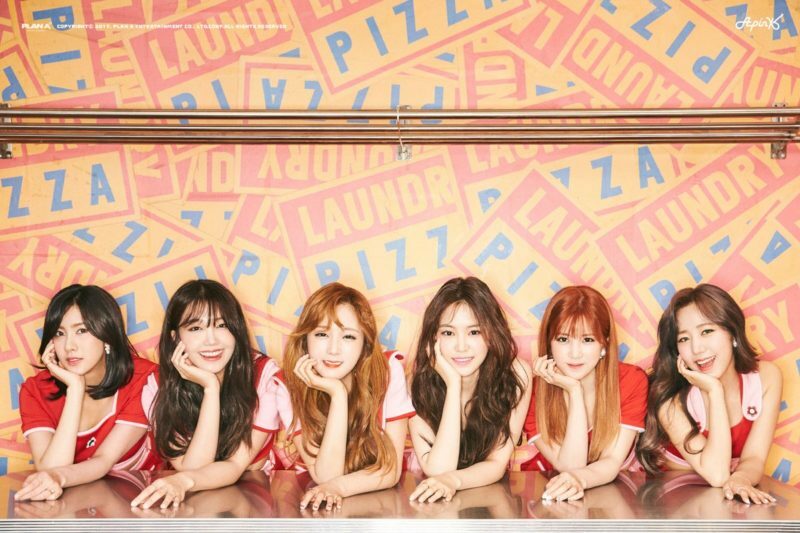 Each Apink members has their individual activities that make the group more popular; from drama, releasing solo albums, to making appearances at various TV shows. Looking at how popular the group is, it’s no wonder they have been touring around and meeting their overseas fans. This year is another successful year for Apink and their concerts. Now, let’s talk about their concert schedule this year! Apink is not only loved by Koreans but they also have huge fandom in Japan. Apink successfully held their 3rd Japan tour titled Apink 3rd Live Tourㅡ3 Years this year. 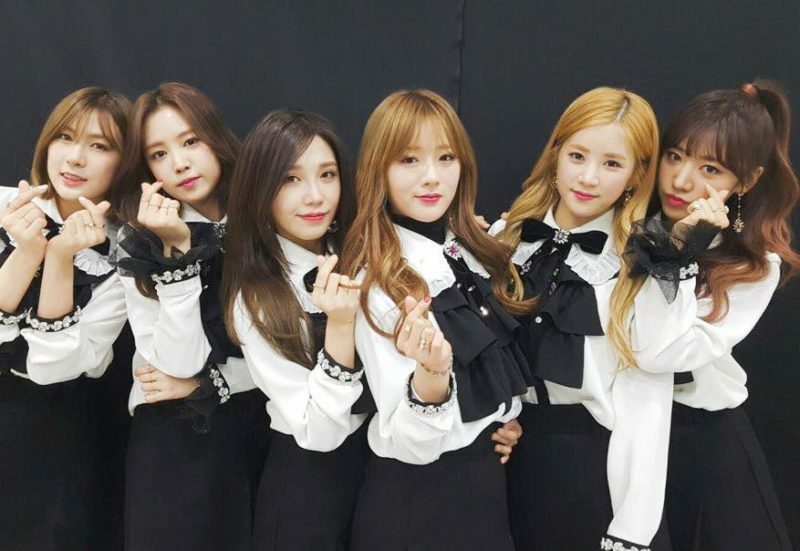 Chorong and the girls went to Kobe on July 22nd, four days later they went to Nagoya on 26th, and the last one they held in Yokohama on the 30th. They sung their most recent Japanese single Motto Go!Go! as the opening song and followed it by their other hits. After Pink Aurora Asia Tour last year, Apink continued to spread their charm in Asia with Pink Up Asia Tour this year. PANDAs from Taiwan and Hong Kong were lucky because finally they got the chance to see Apink’s performances. In Hong Kong, Pink Up Asia Tour was held at AsiaWorld-Expo Hall 3 on September 23rd at 7PM. As for Pink Up Asia Tour in Taiwan, it was held on October 28th and they did a special performance for Taiwanese fans with singing A Little Happiness in Chinese. 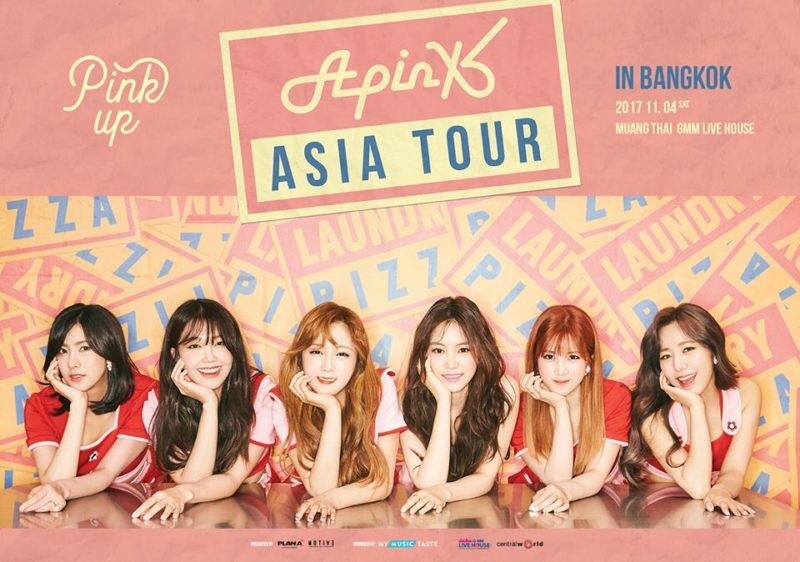 MyMusicTaste made Apink’s fans’ dream in Thailand come true by bringing Pink Up Asia Tour in Bangkok. It was Apink’s first solo concert in Thailand and PANDAs finally managed to meet Apink in Bangkok on November 24th at Muang Thai GMM Live House. Apink did hold a tour in North America in 2016 titled Pink Memory: Apink North American Tour. They visited Vancouver, Dallas, San Francisco, and Los Angeles in January. In Vancouver, Apink performed at The Orpheum on January 5th, continued by a concert in Dallas at Verizon Theater on 6th. For their concert in San Francisco, Apink held it at Regency Center on 8th, and their last stop in Los Angeles was at Club Nokia on 9th. However, they did not visit the US this year. Let’s hope they will come to you again, PANDAs in America, next year! It’s every fan’s dream to attend their favorite idols’ concerts and those idols will be happy to see their fans from other countries too. Let’s hope other PANDAs will also get the chance to meet goddesses Apink in the near future!